This blogging and writing-for-the-web training classroom supported public access training programmes. These have now moved to in-company courses so if your team are interested then ask us about the details for you and your team. Blogging moved from the margins to the mainstream of digital publishing around 2003, changing the way firms could relate to their customers, and offering the potential to transform the role of corporate communications. By developing their own blogs, or carefully raising discussion and comment on those run by others, brands can extend their footprint and reach wider audiences. It can be an exceptionally powerful, cost-effective and intimate way of developing a message, but comes with real risks and limitations. The digital networked society has given a voice to anyone, and this democratisation of access to discussion creates a new landscape for messaging. It’s a powerful reminder of the new era of communications we all work in, and getting it right demands strategic thinking and a sustainable plan, as well as authenticity and tenacity. This Academy explores how and why this is the case, and gets you thinking about how you might be able to harness blogging for your brands. When you have been completing your exercises, is there anything that you’d like to share or reflect upon? Is there something that wasn’t clear or you’d like someone else’s views on? Is there a new point you would like to make about this aspect of digital communication? Are there any new issues that you have discovered now you are applying your knowledge? Use this space to make your comments and to ask your questions. If there’s a particular Academy Lesson, then try to include the title in your comment. Otherwise, simply putting the concept at the start will help other participants find the topics they are interested in more easily. The classroom is open after the Academy, and for the first two weeks, tutors regularly visit to answer your questions. To help you get the most out of this Academy, here’s a simple exercise you can do before we start. It should only take you 5-10 minutes. From Digital’s Blogging Academy, here’s a simple lesson to familiarise yourself with the process of blogging in the context of one of the leading online newspapers. The Guardian (UK) was one of the first to really appreciate the role of blogging and the power it has to change the nature of communication. As a newspaper, they overcame the challenge of defining the barrier between editorial staff and readers, but creating a simple system of comment and participation. To get the most from your Digital Training Academy follow these steps to look at one of their first blog spaces. Blogging can fit into the marketing mix in many different ways, and as part of the Digital Blogging Academy we’ll be looking at different solutions. Blogs on your own site are a great way of firming up the voice of the brand and ensuring that your message gets out just the way you’d like it to. Independent blogs in your industry can be a powerful way of letting people know about what you - or the projects your company is linked to – are doing, but it comes with an ethical dilemma about transparency that marketers need to be particularly savvy about. If you’ve never commented on a blog before, then try this before your join us for the face-to-face part of your Academy. 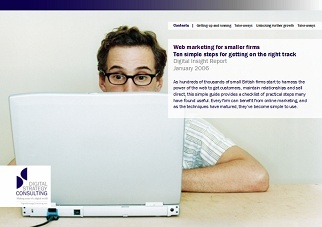 Article: Should small firms blog? Congrats today to all of the participants in this three month orientation level Digital Social Media Academy: Lizzy Ewer, Erica Pease, Judy Piatkus, Caroline Lenton, Pauline Rowson, Mithu Mukherjee, Nicola Beauman, Katie Johnson, Helen Griffiths, Alec Gregory, Simon Clegg, Emma Dowling, Thomas Caldwell, Sam Enthoven, Leda Sammarco. This Digital Social Media Academy includes an intensive romp through the beautiful, baffling world of blogging, creating online communities, harnessing social networks and a big dose of viral marketing. Graduates left armed with three sets of digital marketing plans for their own businesses, and all confirmed that they now feel much more confident and skilled in tackling digital marketing. 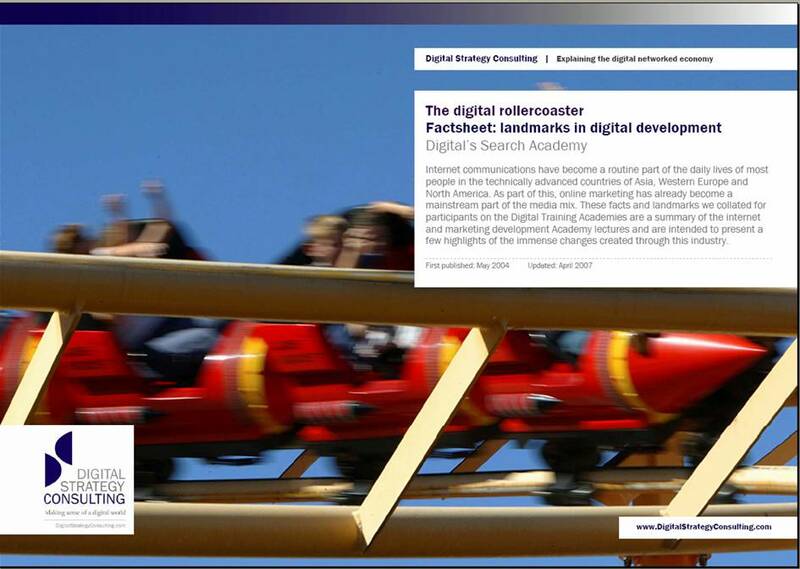 The Digital Social Media Academy was first devised in 2003 and includes the practical use of blogs, Facebook, YouTube, and MySpace in consumer and business marketing for both large and small firms. Could you and your team achieve more with the help of expert training from the leading digital marketing and media training specialists? Digital's new public access academy programme is a cost effective way for your company to tap into some world-class digital training. We can quickly train small teams from scratch, bolster the skills in larger organizations, or get new joiners up to speed.